Older Kindle models from 2007 through 2012 should have their operating systems upgraded today before the update has to be conducted manually, this according to Amazons’ “Critical Software Update” message about Kindle e-Readers. The e-Readers will essentially be rendered useless if the update is not made, affecting the download of books from the cloud, access to the Kindle Store, and other Kindle services. Models from 2007 through 2009 can be updated through the devices’ wireless connections, while 2010 to 2012 models can update their software via Wi-Fi. Important: If you do not update your device by March 22, 2016, you will receive the following message on your device: Your Kindle is unable to connect at this time. It’s not the end of the world if the update isn’t made before March 22nd, however, but it will certainly make life easier. If the update deadline isn’t made users will just need to downloaad the latest OS version to their PCs, then plug their Kindle via USB to install the update. 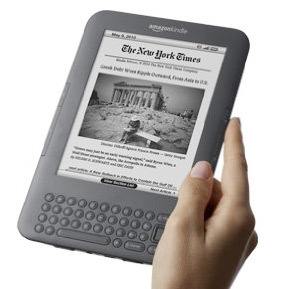 The following Kindle Paperwhite models do not need the mandatory upgrade: Kindle Paperwhite 6th Generation (2013), Kindle 7th Generation (2014), Kindle Voyage 7th Generation (2014), and Kindle Paperwhite 7th Generation (2015).